I've been let down by builders and other tradespeople in recent months the biggest problem being not turning up when they say they will. 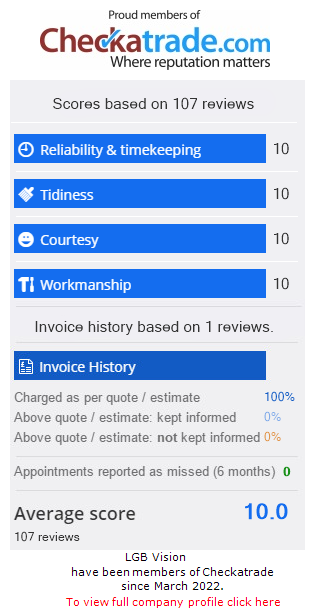 What a refreshing change to come across a company that answers your email within hours, follows this up with a phone call the next day and then arrives the next morning with a very competitive quote which I accepted. Lgb Vision did the gutters there and then, explaining exactly what they had done at the end. I have no hesitation in recommending Lgb Vision.